McAdams provided master planning services for 190 acres of open space owned by the City of Durham. 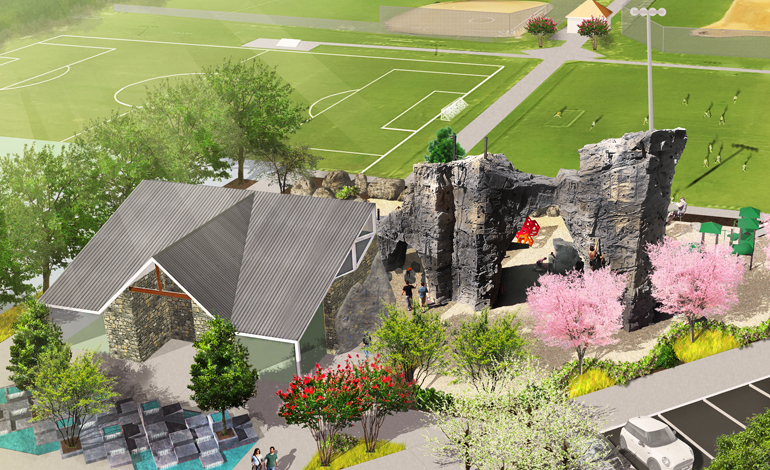 Located in north Durham, the master plan features a balance of active and passive park amenities including water-based and nature play, tree top walking trails, environmental education, walking and mountain biking trails and rock-climbing opportunities for various skill levels. 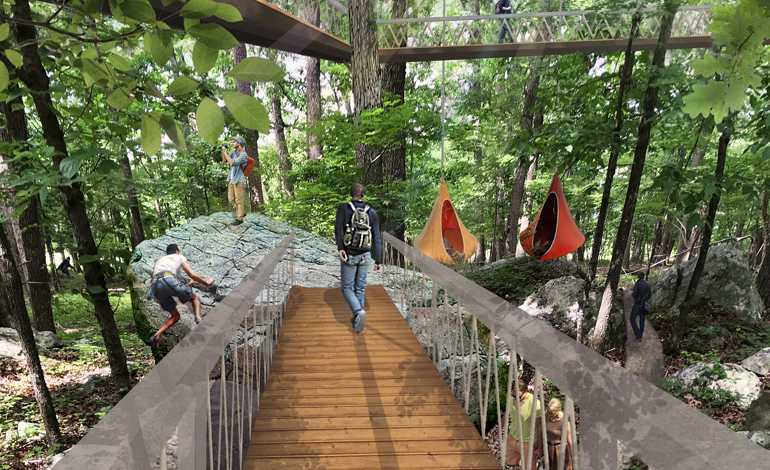 The parks theme tells a story of the site’s natural topography, geology and history. The master planning process included a detailed site analysis and visioning session to honor unique cultural and historical narratives tying back to the antebellum ere. The project featured a robust public input process facilitated by McAdams staff. A needs analysis and precedent study was completed in combination with the public input process and site analysis to form the basis of the master plan program and design. Finally, the project team delivered an operations and financial plan outlining funding strategies, cost recovery goals and operational costs for a five-year planning horizon. The final deliverable was a master plan report summarizing the findings and rendered design that follows the format and requirements for a PARTF grant application.